How well do you know your audience? Get to know them better; then make them like you. This is a good thing; it means you can use that predictable behavior and basic psychology to build your web presence. Once you learn the how and why behind human behavior, you can nudge it in any drection you’d like. Before you can put any psychology-based techniques into play, you first have to understand why people do what they do. When people go online, they have one common motivation: to find what they are looking for without too much hassle. In other words, they want to avoid pain and experience pleasure. Use real language. When people go online and use search engines, they tend to use long tail searches. They’re querying full questions and statements, not just simple keywords. Marketers tend to focus on keywords, but even the top 10,000 keyword terms only make up about 19% of search traffic. With the increase in mobile phones with voice recognition software (which encourages people to make conversational searches), it’s important to understand that people are interacting with devices and search almost as if they were talking to another person. They’re using longer phrases, sentences, and questions. Want answers. The fact that people want answers seems obvious, but too many marketers create content that doesn’t actually answer any question. According to a recent study, 38% of online searches had the word “how” in them, and 24% had the word “why”. The former want a solution, and the latter want to understand. That’s 62% of visitors wondering how and why. Want connection. People also go online simply to connect to other people. The problem they are trying to solve is isolation, loneliness, or boredom. It doesn’t involve a solution made from information, though. The answer is in other people, whether it’s your team or other fans. Have pain points. A pain point is a problem. It might be an actual problem, or it might just be in a person’s head. Whatever the case, that person wants the pain to go away. That pain point is both a motivator (get it gone) and a tipping point (this hurts too much to continue). It drives a person to find answers, but it can also lead them to abandon their search or your site if they deem the effort too costly in terms of adding to the pain. You know that people are motivated to go online to find something they need, whether it’s information, help, or engagement. You may have forgotten, however, that they are real people. A trigger is anything that stimulates people in some way, making them feel and act accordingly. Triggers can be based in an individual’s memory, a cultural reference, a habit, or a common reaction among all people. Colors. Color psychology is fascinating. Certain colors inspire emotions in different genders and cultures. Certain color combinations can evoke feelings or prod website visitors into action. Color can be used to highlight, to mask, to soothe, or to exacerbate. Fonts. Spacious and sans serif fonts are seen as modern and clean. Classic or serif fonts might be seen as more reliable. Bold fonts might be easier to read, if they have enough space between the letters. In other words, the font choices you use can add (or detract) from what you are trying to create, both as a brand reputation as well as what you want your website visitors to do. Distractions. A distraction isn’t always bad. 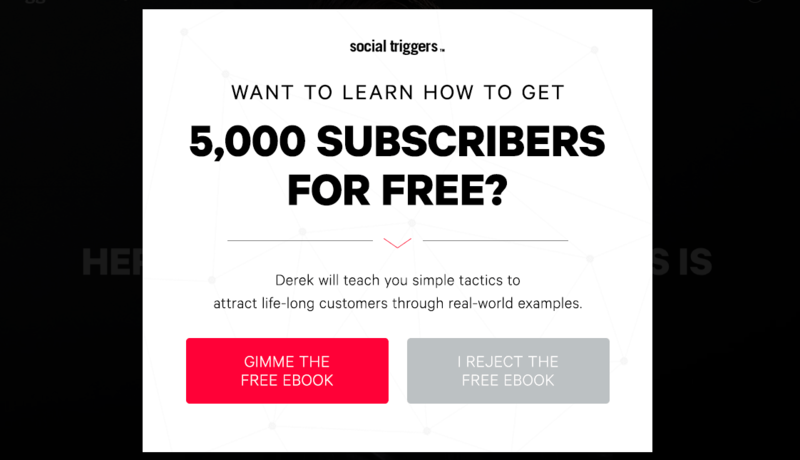 Consider a pop-up that prods a visitor to sign up for an email list or to download an ebook. When done correctly, distractions can tap into exclusivity, multi-tasking, and boredom, and relieve them as if they were pain points. Triggered actions are almost autonomic; people aren’t always conscious of their reasons for behaving as they do in these cases. Rewards and bonuses. We all understand that people do something to get a reward. The trick is that excessive rewards can kill that motivation. Excessive rewards can even dampen future action if visitors come to expect rewards for action they did freely in the past. Rewards work best if they fit the pain point balance. Exclusivity. The more difficult something is to get, the more people want it. When something isn’t available to everyone, or there is limited supply or limited time to act, people tend to buy out of fear of missing out. Perceived value. The value of something isn’t written in stone. More often, various psychological triggers (price, exclusivity, exotic in nature) determine the value. You can increase the value of what you have to offer by using these triggers. Satisfied requirements. Customers come to you with a set of requirements that must be met before they’re willing to move. Sometimes exclusivity can get them to leapfrog these in a rush, but generally, all of the requirements must be met before they feel comfortable taking action. Inducement to action happens when you understand what a person needs and where their pain point is. By poking that pain point or offering a way to avoid it, you can get them to act. 1. 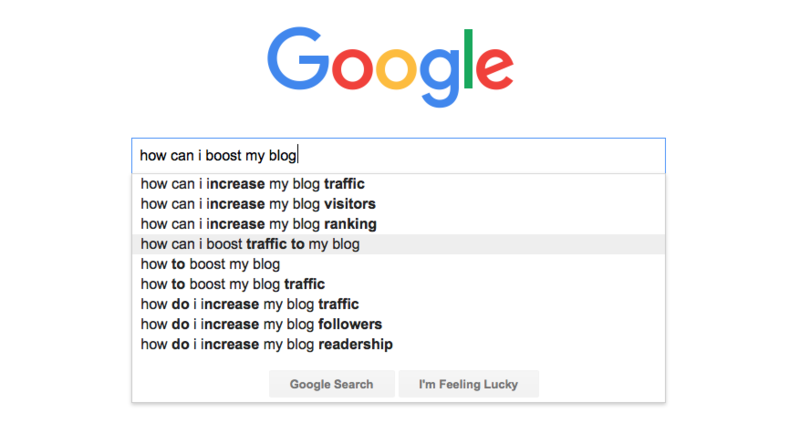 What do my web visitors want? This is all about knowing your audience. Use surveys to ask visitors what they want, like, or feel. Keep surveys short and unobtrusive, and after you’ve gathered enough data for valid analysis, switch out the survey. It’s strange, but too often we neglect the most obvious way to know our audience: ask them. Regularly review your traffic and search data. Find out what keywords bring people to your site, and what pages they are landing on. Track bounce rate to see which pages draw people in but don’t seem to keep them. Click counts aren’t as useful as what people clicked on and why. What you’re looking for here is the answer to what your web visitors are using search engines to find, and also where search engines are leading them. Be wary of segmenting your findings according to personas. By categorizing all of these audience findings separate from each other and not allowing for overlap, you run the risk of fundamental attribution error, in which you mistake external motivations and assign them to personality traits. Personas can be helpful, but they can also cause you to miss the real picture if you put too much emphasis on pushing all data through them. 2. What questions are visitors asking? This is how you learn about pain points. Track the conversations your team has with people through support and social media. The goal is to discern information about pain points, problems, and concerns. Have a system (it can be as simple as a spreadsheet) to record a summary of these conversations and look for repeat patterns. Look for data in regards to long tail keywords. These are the statements/questions people are asking in search engines. Add these to the spreadsheet or system you’re using to monitor the conversational questions. Not only is this helpful for understanding your audience, but you can use it in your SEO plan. 3. What are their pain points? Once you know your audience and what they need, you need to analyze this information. Find patterns or groupings in those conversations, support requests, and long tail keywords. For example, you might see that your web visitors' needs fall into three main categories: technical help, trust validation, and education/information. Knowing these are the core pain points will help you build content and solutions around those specific areas. Determine what requirements are necessary for satisfaction. What you want to find out is how much content, personal time, or information is enough for resolution to occur. User surveys and actual conversations with people on social media or the support desk are the most helpful in understanding this. Think of help articles that allow web visitors to vote up or down on whether the information was helpful. That kind of informal survey is helpful. Remember, it’s not enough to know the pain point; you have to know what a person considers a satisfactory resolution of that pain. 4. What actions require a reward, and which do not? 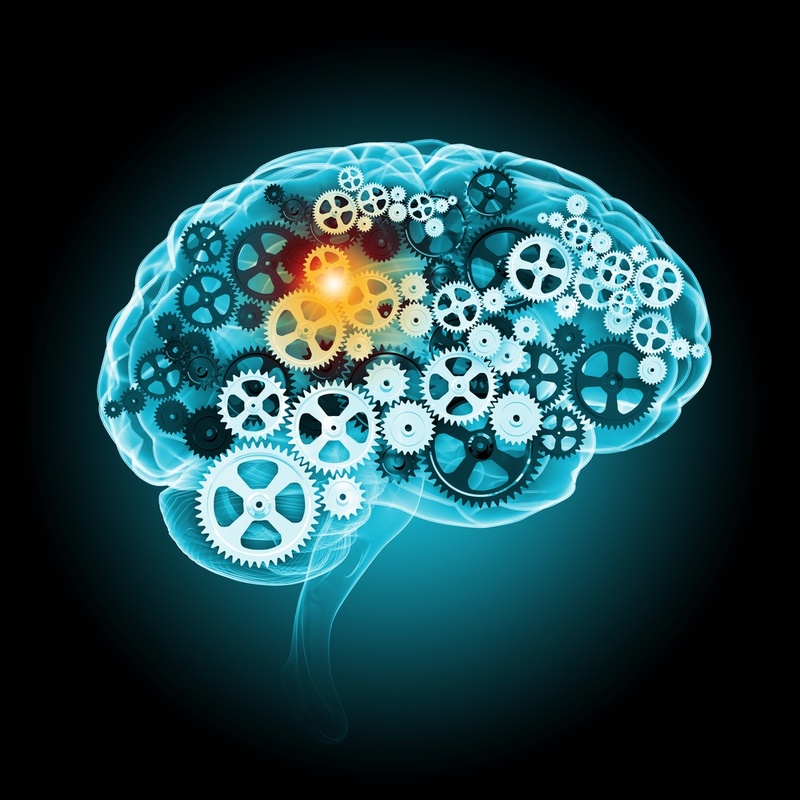 At this point, you’re going to delve into some psychology (and plenty of testing). Try to figure out what motivations, triggers, and incentives will cause your web visitors to take action. Test your design and color choices. Test the hell out of these things, but be methodical about it, too. By methodical, we mean running a test in an equal time frame and with the same data collecting and analyzing tools. 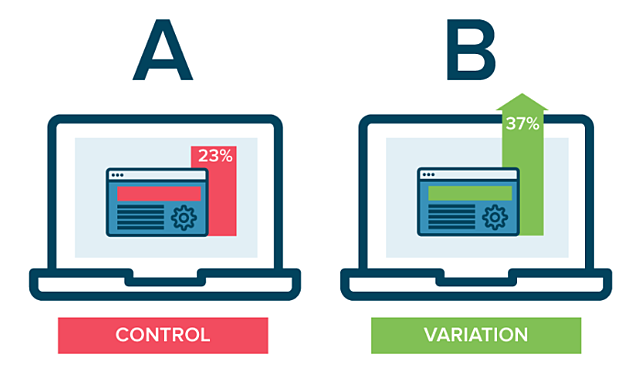 A/B testing works best when you concentrate on one or two elements (preferably one) at a time; too many changes and you can’t possibly determine what the data means. Also consider using testing groups where you gather a group of people and get their opinion or test their use of your design. Put scarcity and exclusivity to work in your content. Create classes or groups with limited openings. Create ebooks that are only available for free for a short time. Learn to use the language of exclusivity in your copy. Be cautious about scarcity and exclusivity. These are emotion intensive techniques. If you use them too often, you desensitize your regular visitors. 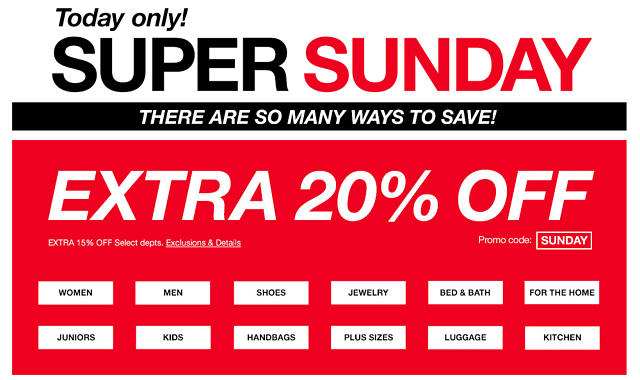 Think of the store that always has a “huge sale, everything going fast!” just about every weekend. People stop believing it. Try these techniques out one or two at a time and pay attention to what works. Monitor your competitors' strategies, too. See how and when they use them and if they're able to generate any buzz. 5. Do I know the perceived value of what I’m offering? Raise the price. Sometimes a higher price is better than a low one, which can suggest cheapness. If you want your product and brand to have value, the price is the easiest way to say this. This only works in some instances. Diamonds, for example, are already understood to be valuable, so raising the price doesn’t increase their value. Compare with competitors. This isn’t about a price war, but rather an attempt to understand what an understood norm is and show web visitors that you're offering something better. Change how you measure it. People don’t see money as valuable so much as they see it as a way to get valuable things. Remove money from the measure of value and you help people understand the value better, often through comparison. Clean up the branding. Update the copy and design of what you’re offering. This helps it seem relevant and not outdated, and can improve perceived value. Use proof and testimonials. Add quotes from real users who have succeeded after using what you’re offering. This is about building perceived value through trust. Try free samples. A trial period or free sample is another way to increase perceived value through trust. Testing these things means watching which way conversions go and how your web visitors react (e.g. excited or unhappy about it on social media). Remember when testing to make one change at a time, fine tune that, and then move on to the next. Trial-and-error and testing, will be used frequently until you better understand who your web visitors are and what motivates them psychologically.